Some staffing agencies, contractors or consultants may have their own Gem account associated with their agency/consultancy email address, but want to send on-behalf-of messages via their client email address. Gem easily supports this option--just follow these steps. Using this function you can be logged-in to as many different Google accounts as you want simultaneously. 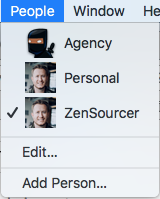 Essentially, you can create multiple Chrome profiles and use them at the same time (in different browser windows). Once you're logged-in to your agency email in one browser window and your client email in another--make sure you are logged-in to Gem in both windows using each of those email accounts. If you need to create a new Gem account in either case, do that by visiting www.gem.com and clicking "Login" at the top right of the page. 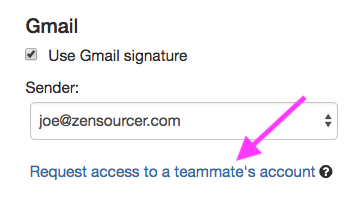 You can now send a sequence from your client email while logged-in as your agency email account. Need help sending on behalf of? Feel free to reach out to the Gem team by emailing us directly at support@gem.com or press "Chat with Us" in the Gem home page.